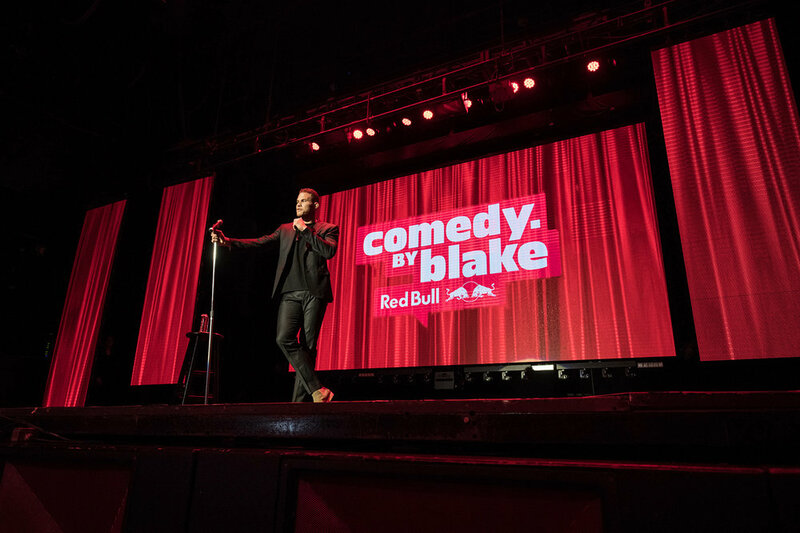 In 2017 Blake Griffin hosted his inaugural Comedy. By Blake. standup showcase event featuring performances by John Mulaney, Norm Macdonald, Phoebe Robinson, Whitney Cummings, and Jim Jefferies. The event was sponsored by OBB Pictures alongside Knowledge Society, the Los Angeles Clippers, Brand Jordan, Comedy Central, United Talent Agency, 20th Century Fox, Universal Music Group, the University of Oklahoma, and Smart & Final, and the proceeds of the evening were donated to Blake’s own Team Griffin Foundation, an organization committed to providing young men and women the best opportunities to develop and showcase their skills and learn essential lessons of life, competition, and hard work by encouraging academic and athletic success.